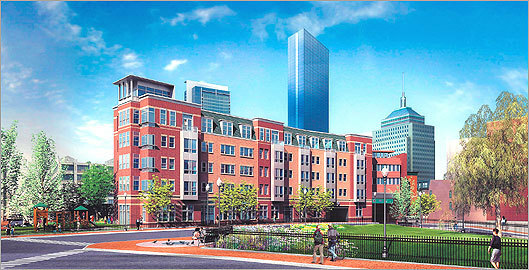 Gotta imagine if the MassDOT Parcels 12-15 projects succeed then Columbus Center will be resurrected in some form within a handful of years after since the template for modern Pike air-rights development will be a more known quantity. I definitely remember reading a story that this is back in planning/selecting a new developer. It would be amazing if that happened along with 12-15 on the other side. Throw in the almost done development at 0 Kneeland, and the parcels by Reggie's Park and the entire run there is really getting stitched up/back together from the highways. All that would remain would be the ~4ish blocks from Castle Square over to the old Herald site. If all the rest of these actually get done (and profitably) this cycle, I would think it would give a nice blueprint to get those last couple covered and finally knit things back together. 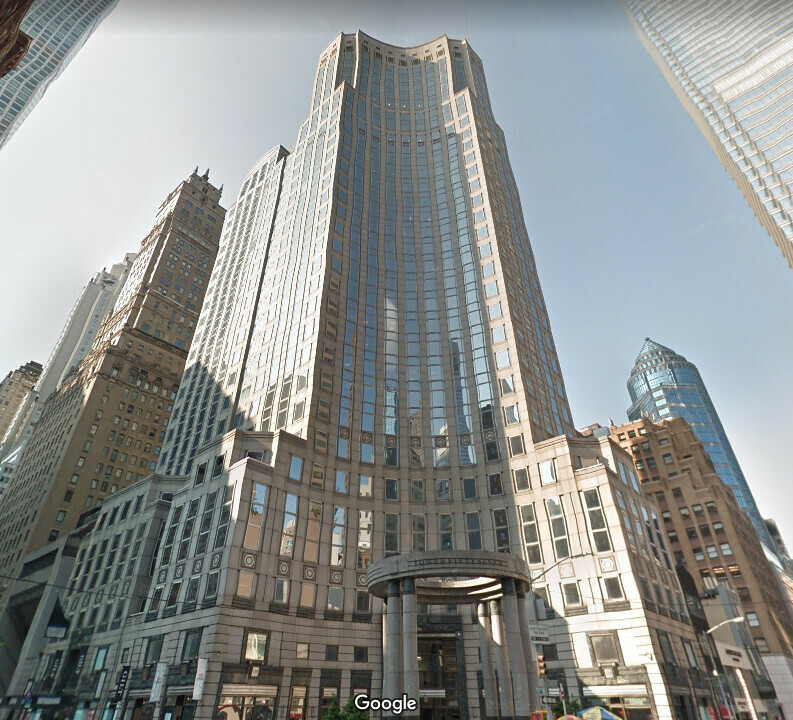 And to imagine how this block would look with Liberty Mutual's tower anchoring the other end... such a shame..
^^Someone said the tower in the render already looks dated. You know, the guy who led Israel out of the Desert. 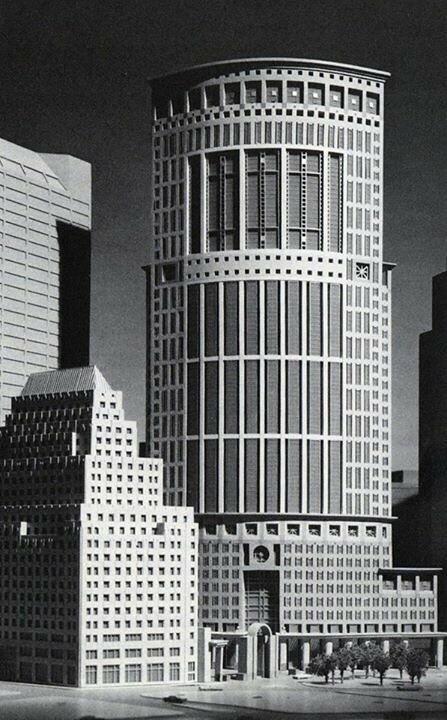 Been on a tear revisiting Postmodernism (it sure beats 99% of what's getting churned out today) and I came across this rendering for an early proposal for 101 Federal, dated to 1982 and by the same architects--Kohn Pedersen Fox--as the final product. 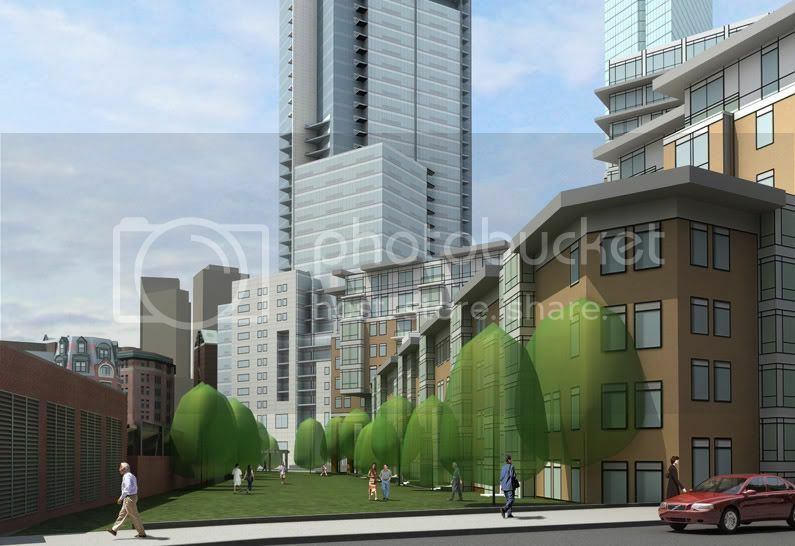 Note it clearly overlaps onto the public garage site and probably would've contained a solid one million sq ft. Anyone know the backstory here? The economy was booming in the mid-'80s, so why did this project get downscaled so much? all due respect, Sir, that's kinda ghastly. 80's architecture done right. Handsome building it would have been. That doesn't look like anything ever built (that I can think of). I'm not sure if it would be horrid looking or cool. 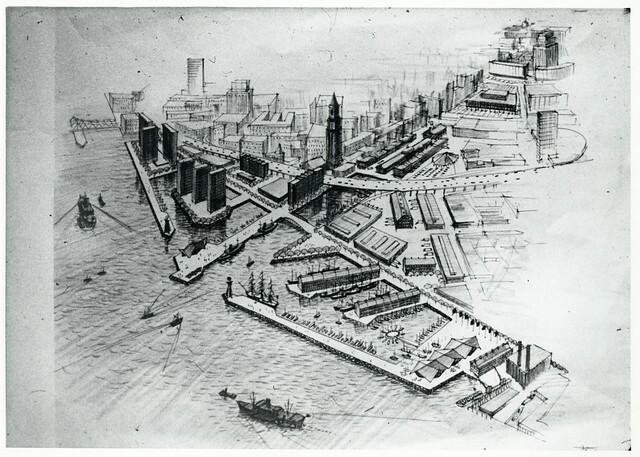 They should build that right now in another part of the city. Government Center, closer to North Station, or maybe even Kendall. Top it with some sort of hat. I like it. build that right now in Kendall. Am I the only one who really likes International Place? It's one of my favorite skyscrapers in Boston. The middle (shorter) building has some pretty ugly and dated looking windows. But the two circular buildings are pretty good looking in my opinion. And 500 Boylston is interesting. I wouldn't call it ugly. It brings some good variety to Boston architecture. 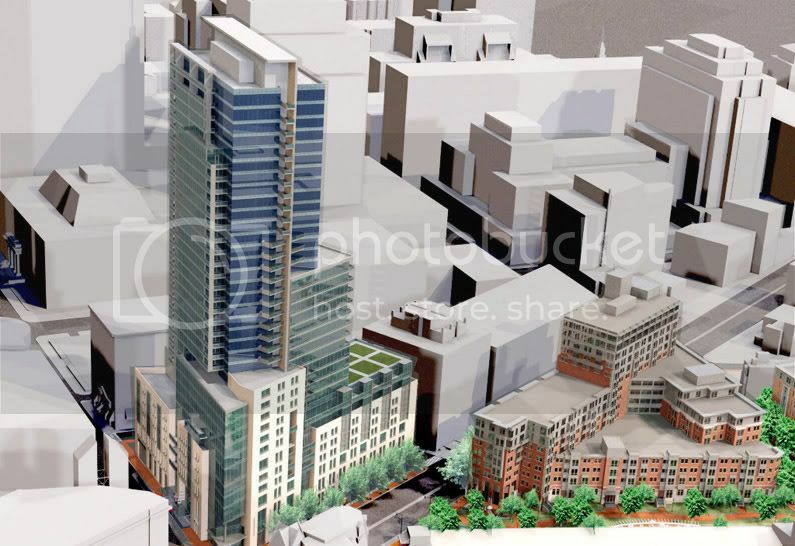 I could be mistaken, but I believe Fidelity was the intended anchor tenant for this proposal and they pulled out. I prefer the more understated version that was ultimately built, though it would be better with another thirty-or-so floors. It's very "Gotham City." I don't mind the shorter of the two buildings at IP at all, but the Palladian Palace is probably one of the ugliest high rises in North America. 500 Boylston is so cheesy that it inspired the Cheesecake Factory. From the City of Boston Archives Flickr page. 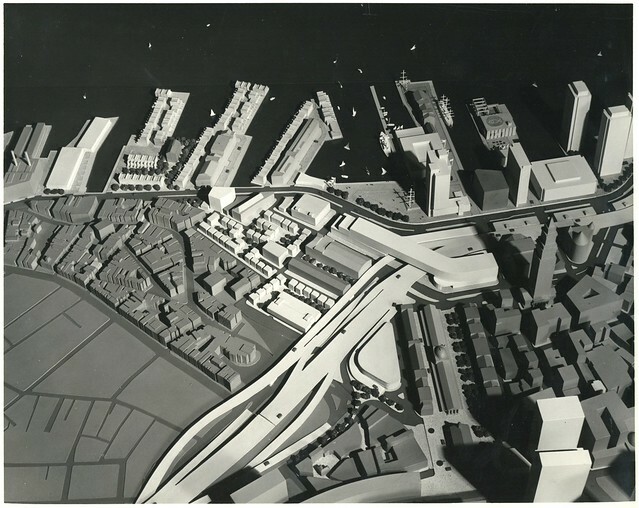 Proposed but not built, waterfront edition. 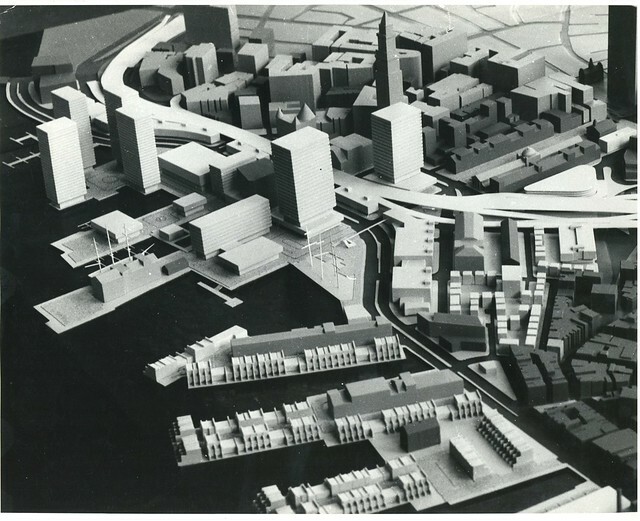 Several (mid-rise) towers that never got built, among other things. I couldn't see these anywhere on the forum so hopefully not dupes. Last edited by JohnAKeith; 02-28-2019 at 02:37 PM. A stubby tower at Long Wharf, another in the “spite park.” And in the distance, a prehistoric glimpse of the South Station Tower. 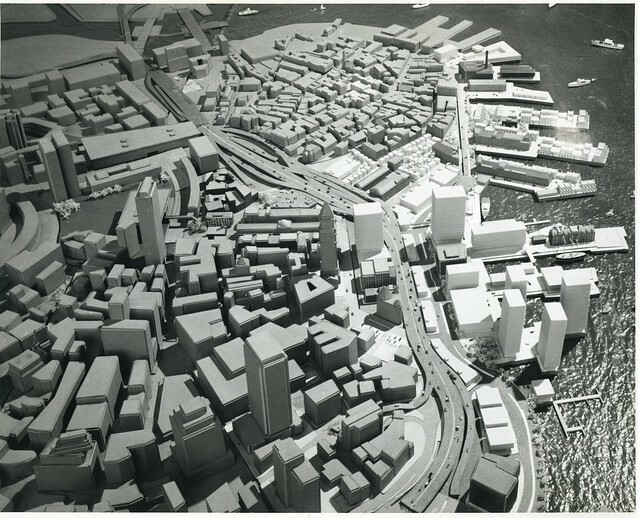 Did you come across the Josep Luis Sert schemes, one on the North End waterfront, the other for the South Station air rights? Here's a sweet one. The 1969 proposed Route 2 interchange at Alewife Brook Parkway. The view faces north. Route 2 to Lexington goes off to the left. The Red Line extension curves west towards Belmont/Waltham instead of Arlington. I grew up about two blocks from this location.